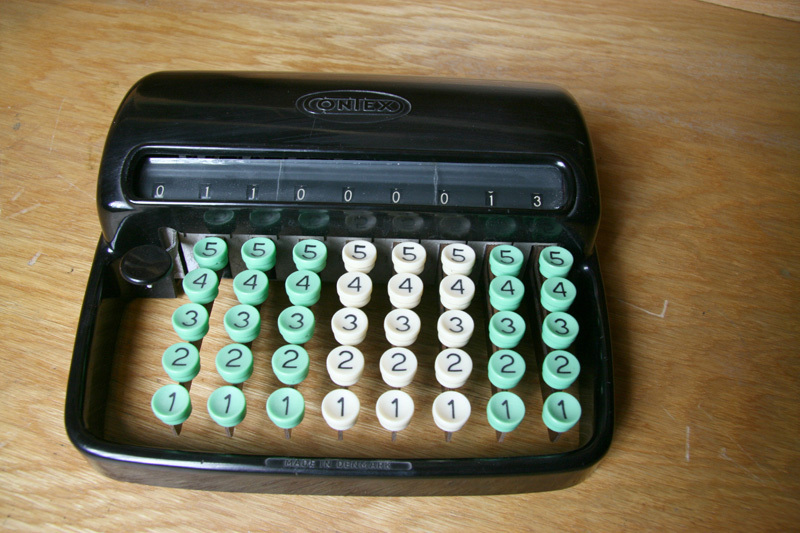 John Carlsen was issued a patent in 1945 for a mechanical calculator. 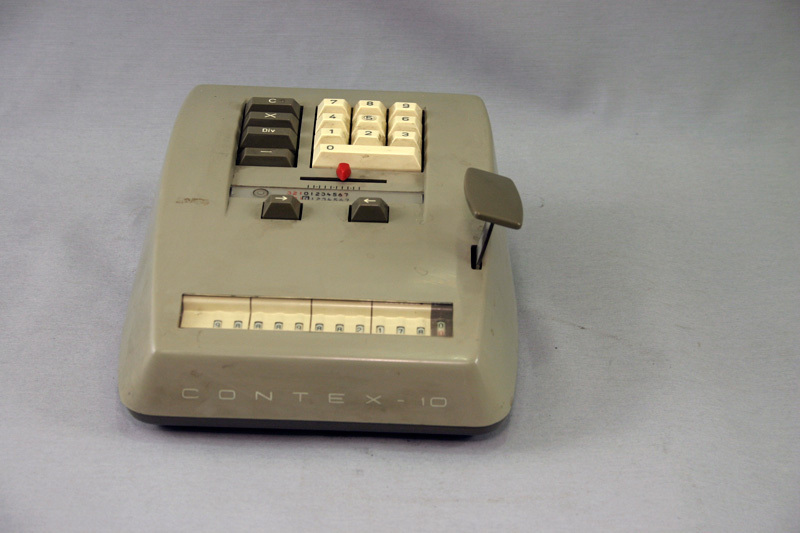 Contex was a simple half-keyboard adding machine.The case was made of Bakelite. 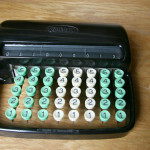 In 1957 a 10-keyboard calculator was introduced. 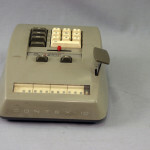 A motorized version was introduced in 1961. Production ceased in 1970s.